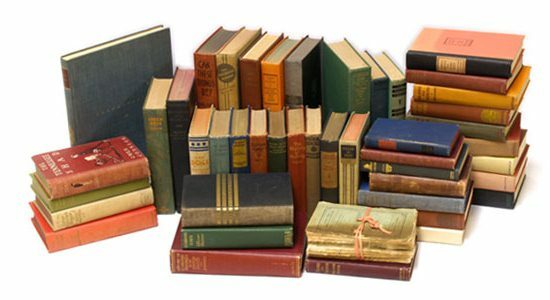 Home / Books in Urdu / Buy Online in Pakistan / Education / Guest Posts / Online Shopping in Pakistan / How to find the Best Academic Books in Pakistan? How to find the Best Academic Books in Pakistan? Finding the right academic book is a hectic task for every student at the beginning of each semester. Not only does it require a lot of research regarding prices and location from where to buy, but it also consumes a lot of time, which the students don’t have. From working jobs to handling the load of studies and keeping up with extra-curricular activities, time is something not a lot of students have. So it doesn’t really make sense going from shop to shop to find the right academic book, especially when you have neither the resources nor the luxury to do so. As such, a lot of students are left asking the question, if they cannot approach the old brick and mortar shops then how do they find the best academic books in Pakistan? Fortunately, the answer is simple and straightforward. Numerous online bookstores in Pakistan provide all the academic books required by students during the course of their semester. After all, it is the age of technology and technology has bettered almost every part of our life so why should it be any different for books? Today, you can get better books faster and cheaper online than by physically visiting the brick and mortar bookshops. So it is all about opening your laptop, visiting the site for online book retailers and ordering your academic book, because as with almost everything else, the best place to find books is also through online retailers. Although they are relatively new in the Pakistani market, yet online bookstores have offered students a relief from the struggle of finding the best quality academic books at cheap prices. Not only is it more convenient to order books from the comfort of your own home by just clicking a button, but it also allows students the chance to ensure they are buying the right book. Too often, brick and mortar bookstores offer pirated copies or unwanted versions of the books students are looking for which leads to great stress later on when they have to make extra effort to find the right one again. Nevertheless, with online bookstores, one can take the time to properly navigate the site and ensure that the version of the book being offered is the one that is needed. Not to mention, it helps when you don’t have to go out scouting for books in the blistering heat but instead can order it from home because most, if not all, online bookstores in Pakistan offer home delivery. Therefore, instead of going out to buy books, the books come home to you. Shopping online for books in Pakistan also saves tremendous costs and not just the cost of petrol. Online books stores offer all academic books at the cheapest prices since they are authentic and genuine retailers of these books. As compared to brick and mortar stores that may or may not have acquired the original book and may even sell that for a higher price than one that is appropriate. It is one of the reasons why online bookstores are the norm in the western world today, where bookshops are few and far between. Their convenience, authenticity, and pricing can simply not be matched by the old conventional books shops. Especially for students, it is very important to have a trusted retailer who can guarantee the authenticity and price of the book since students obviously do not have a lot of money to spend. This is a huge avenue of buying the best academic books in Pakistan, yet due to the slow rate of progression of Pakistan and a plethora of other factors, the online book buying experience has not been able to take off yet. Even though the sale of online books in Pakistan is less as compared to the sale of books from traditional shops, yet there is huge potential for expansion in this market. Since most students are not yet aware of the many benefits of buying books from online retailers and would jump at this opportunity because it costs less money, provides more services and ensures that the each and every student gets the exact book they are looking for. Though there are still some difficulties in ordering books and items online yet the pros far outweigh the cons, and this online network of retailers is still evolving and expanding. Chances are, the issues will be worked out in the future which would make online bookstores the only logical choice when it would come to buying academic books.